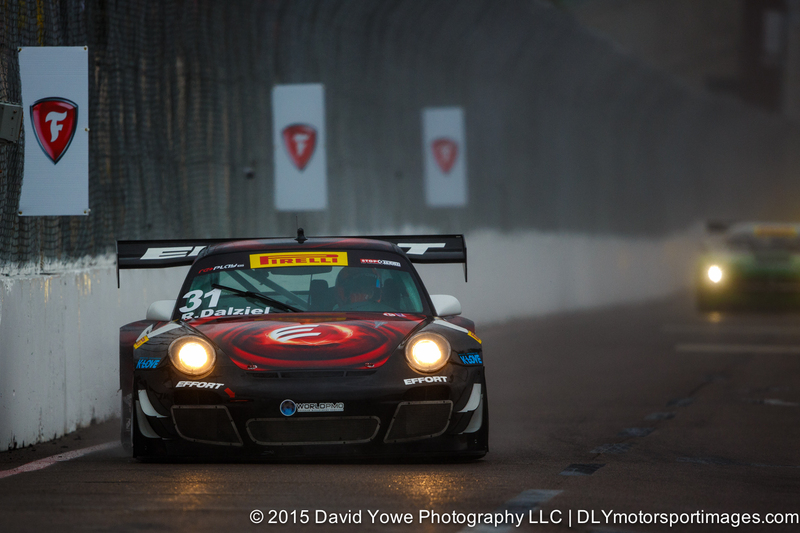 The Friday afternoon GT class qualifying session was held under rain conditions. There is always something “magical” about photographing race cars in wet weather conditions, with the lights reflecting off the track, water spray coming of the cars, and the droplets of rain caught going through the cars headlights by the cameras shutter. Hope you like the photos. 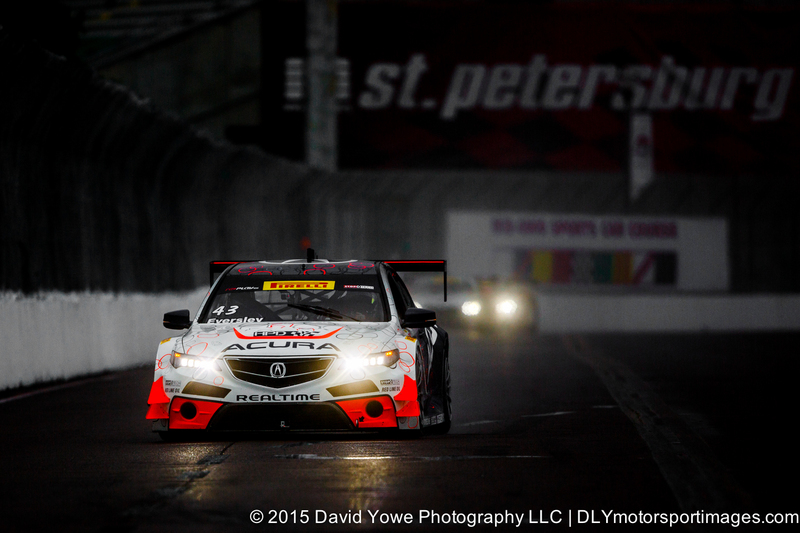 Pole position went to Ryan Eversley in the #43 RealTime Racing Acura TLX-GT with a fastest lap of 1.23.434. 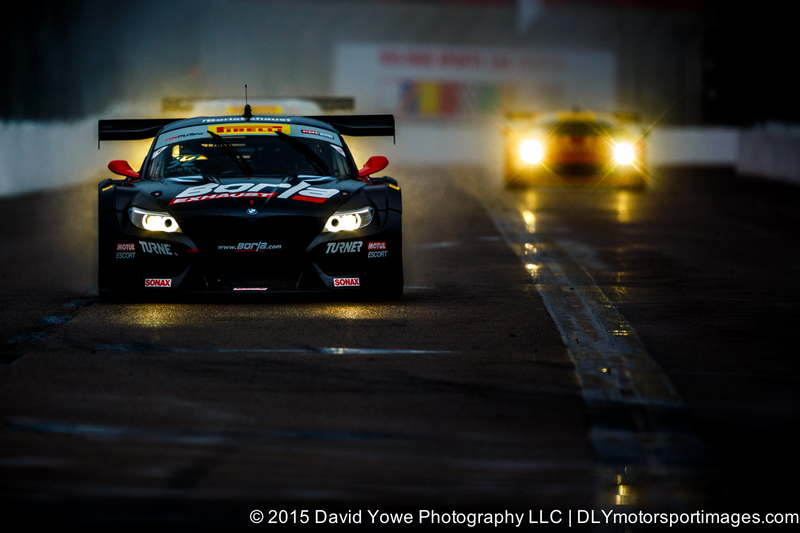 “Reflections of light” with the Bret Curtis in the #32 Turner Motorsport BMW E89 Z4 GT3. 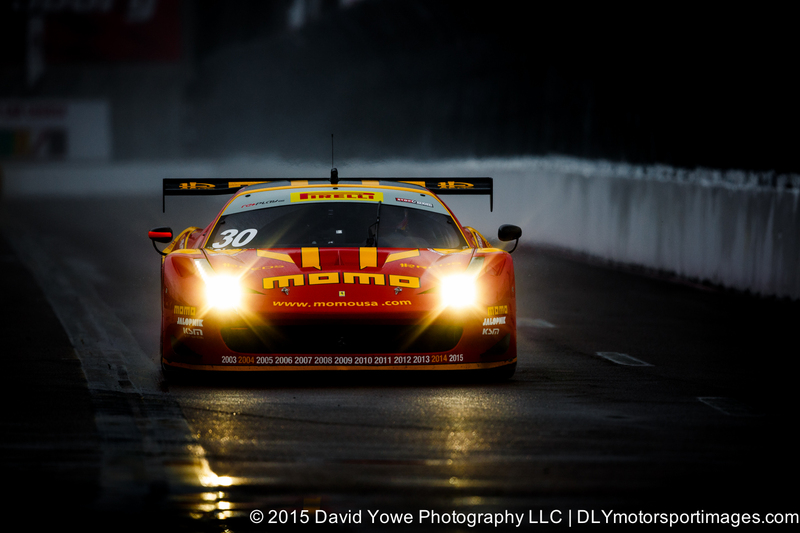 “Lights” with Henrique Cisneros in the #30 NGT Motorsport Ferrari 458. 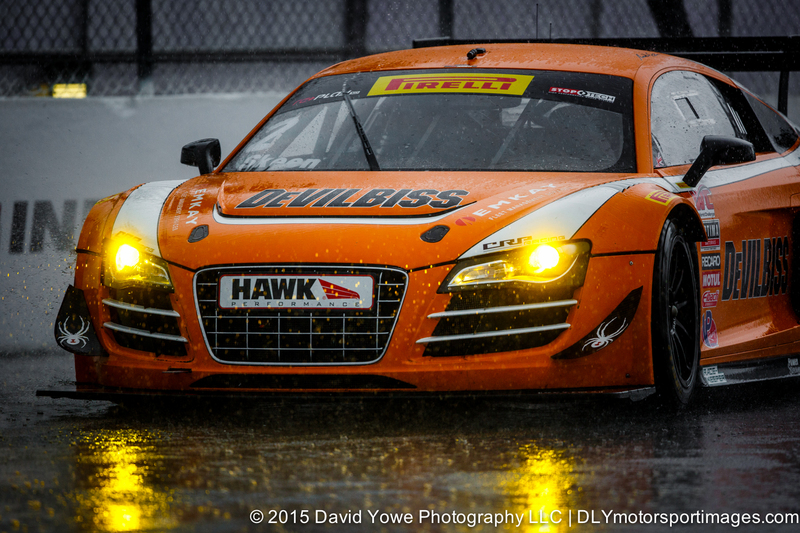 “Droplets of rain” with Mike Skeen in the #2 CRP Racing Audi R8. 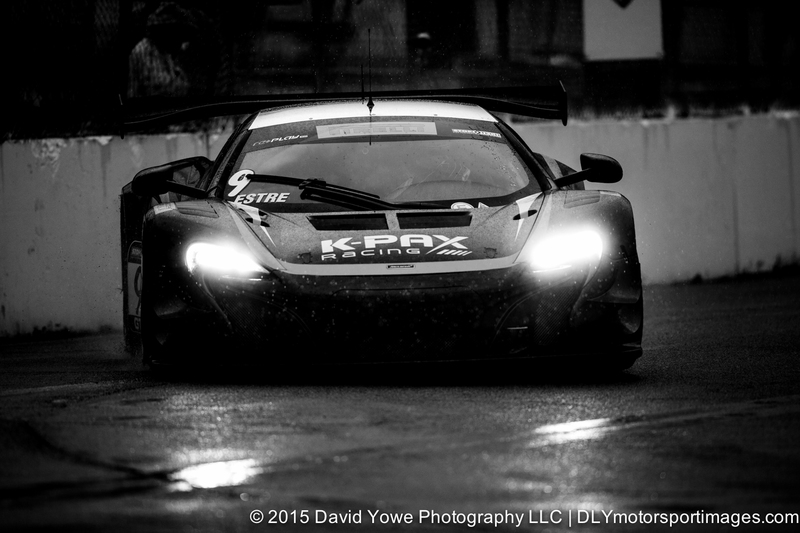 Second position went to Kevin Estre in the #9 K-Pax Racing McLaren 650S GT3 with a time of 1:23.956. 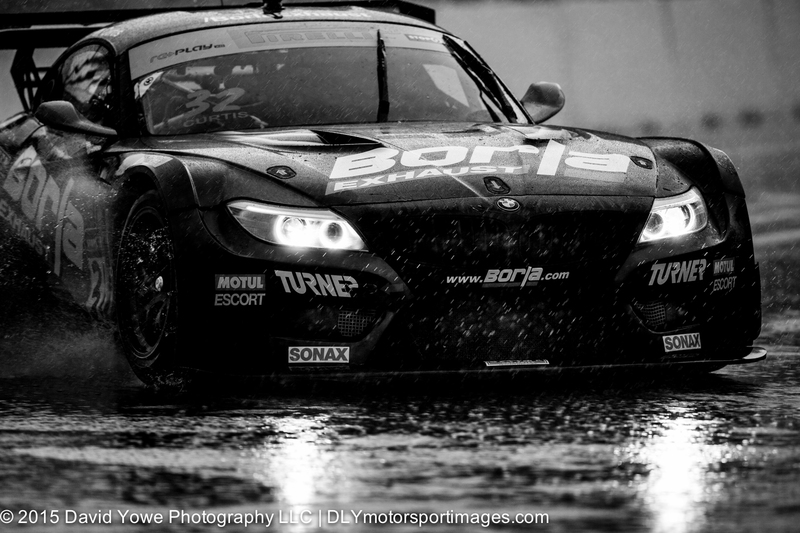 “Aquaplaning” with the Bret Curtis in the #32 Turner Motorsport BMW E89 Z4 GT3.